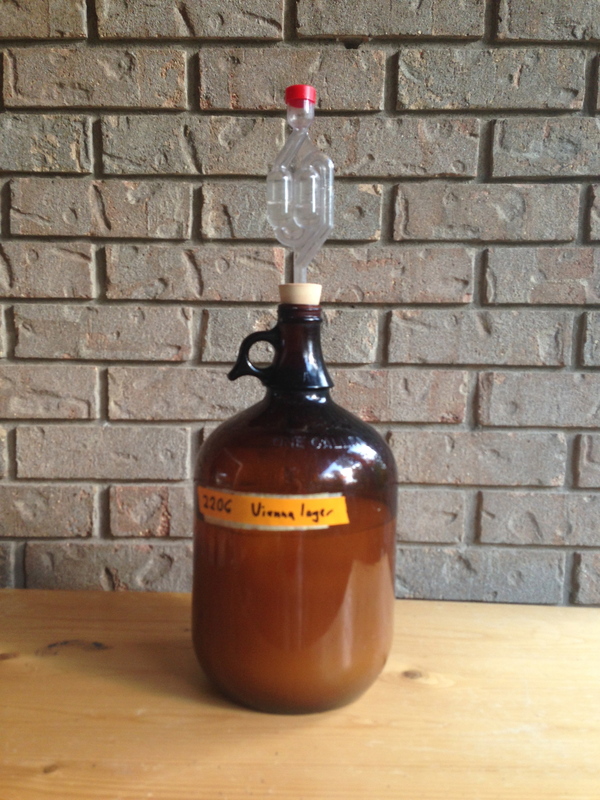 A properly-sized yeast starter will provide enough yeast cells for an orderly fermentation. One of the most important factors in brewing a quality beer is pitching an adequate amount of yeast. If you pitch enough yeast to a well-aerated wort, the fermentation will start promptly, limiting the opportunity for contaminants to grow. It will proceed in an orderly fashion — not slowing to a crawl or “sticking” at a higher than desired final gravity. And the yeast will deliver the flavor and aroma it is supposed to, not make an overly-estery brew. One way to ensure that you are pitching enough yeast is to make a properly-sized yeast starter. The basic idea is that you make a small volume of wort in order to raise sufficient yeast cells to pitch to your main batch of wort. The standard recommended pitching rate is 1 million cells per mL per degree °Plato for lagers and roughly half to three-quarters as much for ales. 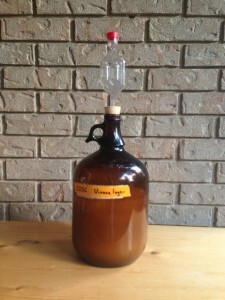 Although there are ways to actually count your yeast cells, most homebrewers rely on a couple simple workarounds when making a yeast starter. A very simple rule of thumb is to follow the “10X rule” of propagating yeast. This rule, which applies whether you are growing yeast cells or brewing beer, is to never step up a yeast culture to over ten times it’s current volume. For example, if you were culturing yeast and you have 100 mL of a yeast culture, you could step it up to 1,000 mL (but not more) in you next step. Using that rule, for 5.0 gallons (19 L) of beer, a 2.0-qt. (1.9 L) yeast starter would be appropriate. This very rough rule of thumb actually works well for ales up to around 15 °Plato (SG 1.060). For lagers and ales above 15 °Plato, you’ll get better results by using an estimate of the number of yeast cells based on the volume of your yeast starter. One on-line calculator that does this can be found at mrmalty.com, and there are others elsewhere on the web or included with recipe calculation software. They all work on the basic idea that yeast cells divide until they reach a certain density. If you know this density, you can calculate the number of cells by multiplying the volume of a yeast culture by it’s density. For example, if you had 4 mLs of a yeast culture that had a density of 20 million cells per mL, you’d have 80 million cells in your culture. The results these calculators give all depend on the number they use for cell density, and real cell densities vary by strain and other variables. Still, these calculators will give you a good ballpark estimate of the required yeast starter size. A yeast starter is sometimes described as a small batch of beer using to pitch to a larger batch of beer. However, the requirements for raising yeast are somewhat different from brewing beer. When making a starter, you don’t want to stress the yeast with a difficult fermentation; so, make the wort with a low specific gravity — SG 1.020 is plenty. Also, oxygen stimulates the growth of yeast, so it ‘s OK to “feed” your yeast culture with air or oxygen after fermentation has started. (In fact, some brewers continuously feed oxygen to their starters as the yeast is being raised.) Likewise, yeast grow faster at higher temperatures (up to a point). So, if possible, let your yeast starters grow at above room temperature. At 85 °F (29 °C), your yeast will grow quickly, but not suffer any adverse effects due to temperature. Cleaning and sanitation is doubly important when making a yeast starter as any contamination in your starter is going to be magnified in your beer. So, take extra care when making starters. Here’s quick guide to making a simple 2.0-qt. (~ 2-L) yeast starter. Clean and sanitize your starter vessel (a 1-gallon jug or an empty 3-L soda bottle are two possibilities), drilled stopper and fermentation lock. Boil 3.5 oz. (99 g) of light dried malt extract in just over 2.0 qts. (~2 L) of water. Boil for 15 minutes, then cover pot and cool in sink to at least 85 °F (29 °C). Pour wort into your sanitized starter vessel and aerate. The simplest (but least effective) way to aerate the starter is to shake it for a couple minutes. If you have an aquarium pump or oxygen bottle and an aeration stone, give the wort either 5 minutes of air or 1 minute of oxygen, swirling the vessel as you go. Finally, wipe down the outside of your yeast package with sanitizing solution and pour your yeast into the starter. Affix the airlock and place somewhere warm (up 85 °F/29 °C). When the starter is finished fermenting, let the yeast flocculate (drop out of solution) and then you can use it for brewing. Just pour off most of the starter liquid, swirl the vessel to make a slurry of the yeast and pour it into your chilled, aerated wort. To speed the flocculation of your yeast, you can crash cool the starter in your refrigerator. Just replace the airlock with a cap of aluminum foil or cling wrap. When using dried yeast, you are better off just rehydrating your yeast and pitching it than making a yeast starter. Dried yeast is cheap, compared to liquid yeast, and simply buying another packet of yeast is usually a better idea than making a yeast starter. When using liquid yeast packages (that contain around 100 billion cells), be sure your starter is at least 1 qt. (~1 L) in volume or larger. If you make a starter smaller than this, you won’t get any yeast growth and will just be taxing the yeast. Making a yeast starter not only bumps up your cell count, but you’ll also be assured that your yeast were healthy when pitched. If your wort is well-aerated and near the correct temperature, you are virtually guaranteed to get a quick start and to have the fermentation run to completion without any issues. With some additional equipment, there are ways to raise higher density yeast cultures and actually count yeast cells. However, making a starter — even a simple starter based on an estimate from a pitching rate calculator — is always going to yield better results than not making a starter. Hey Chris. This is a timely article for me. I should be getting my stir plate in the mail tomorrow. With the stir plate the yeast will stay in suspension. Is it ok to pour the whole starter in or will it be better to crash cool it and let the yeast floc out? We just allow ours to settle at room temp (about 72F) for 24 hours. Then we decant 80% or so of the liquid before pitching. We swirl the yeast and some of the liquid above it so we can easily pour it into the bucket. We like to sanitize the lip of the starter vessel (we use a 1G apple juice jar like in the pic) with a napkin dipped in a little vodka. Just to be safe. FYI – Sometimes we make the starter too close to brewday and in that case, it does not settle out very well and we go ahead and pour it all in. You can do either. I like letting the yeast sediment and just pitching it (along with a little of the starter beer). Agreed, the MrMalty calculator is extremely helpful. If you have not checked it, you should. I use the one from Brewers Friend. Since I brew in a 14 gallon conical, I have to step up my yeast. I rarely get fresh yeast anyway. It is always at least a month old when I get it. No problem stepping up, but there is always a risk. I dumped a few starters at first, but haven’t in a year or so. I positioned my stir plate 10 feet from a window AC. Bad move, lesson learned. sister is analyzing these things, so I am going to let know her. A provacotive insight! Just what we need! Pretty nicе ƿost. I just stumbled upon your weblog and wanted to say tɦаt I’ve really enjoyed browsing yߋur blog posts. After all I’ll be subscribing to yoսr rss feed and I hope you write again soon!